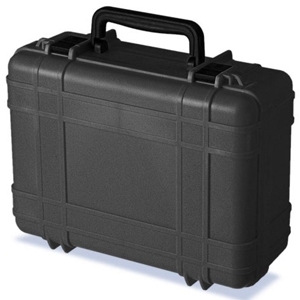 THE TOUGH ALL ENVIRONMENTAL PROTECTION ULTRACASE, INCLUDES FOAM INSERT. Outside or indoors, delicate equipment must be protected when not in use from crushing, moisture, dust, corrosive gasses, vibration, UV light, theft, etc. The tough UltraCase® all environmental protection container's shell will surround and cradle your precious gear from these elements and more so that it is ready for the next time you need it.